Add a contemporary style to your home by introducing this beautiful Modern Rectangular Wall Mirror. 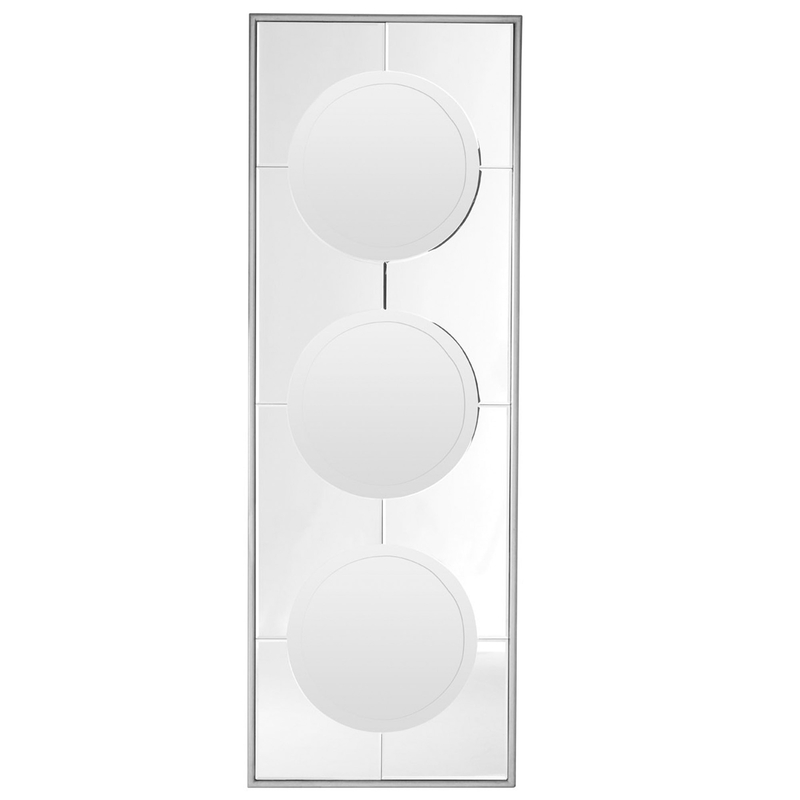 This wall mirror features a very minimalist and abstract design which consists of 3 circular mirrors inside of a large rectangular shape. This design is complemented by the silver colour to create a very contemporary piece.